What makes ZUMMINER convenient and competitive? The main features of the wallet include the ability to work with a list of top-level cryptocurrencies (Bitcoin, Ethereum, Dash, ZCash, Litecoin) and make transactions at the 100% securest level. Technical support 24/7, ready to answer any questions. In order to begin to take advantage of the multi-currency crypto-wallet, it’s enough to go through a simple registration procedure, which takes only a few seconds or to authorize your account through any popular social network. Furthermore, users will be able to start exchanging, making transfers, mining cryptocurrency, and making a profit without any other additional tools. 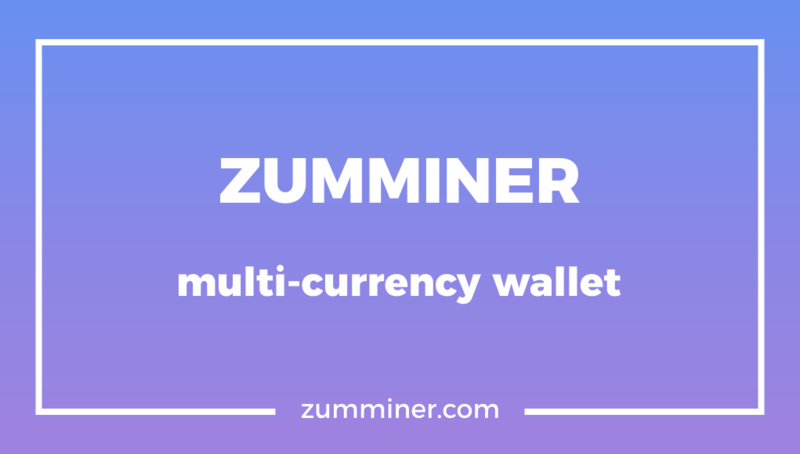 In terms of the development, the creators at ZUMMINER will offer users, even more, opportunities, such as adding new currencies to the platform and improve the code. In this case, experts believe that the wallet will be competitive and will contribute to further the large-scale popularization of cryptocurrencies around the world.